The area of Mavri Laki is located between the summits of Kakovoli and Kastro. It translates as "Black Hollows" or "Black Troughs" and it is even more true to its name in this photo because the snow has melted down there, possibly because it is a little lower than the surrounding hills at around 1700m. 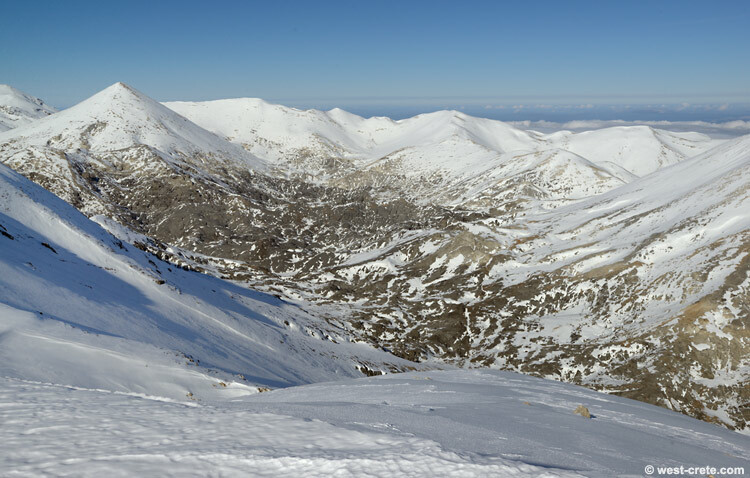 Mavri Laki is one of the most inhospitable area of the White Mountains.